Too many languages too soon? Thangam is in Upper Kindergarten (UKG) this academic year. Her medium of instruction is English and as a second language she learns Hindi. She moves into the first class next June and from there on she will be taught an additional language. Most parents this reporter has spoken to ask in unison the big question why and toward what end. As it is she starts to learn other subjects in class one and to an already loaded bag of woes should we add another? That extra period, they feel, can be better utilized. The mentality of the toad in the well is questioned as the outlook in terms of language learning is very region (India) based and not global. Some parents point to the example set by Kerala, our most literate state. Kerala has introduced sports as a subject in the curriculum to fulfill the need of the growing child; the need of nourishment for the body and mind. To arm the child with the necessary tools for survival both professionally and individually is the sole aim parents take into count. How will the third language add or diminish his/her ability is the moot point. One theory of learning suggests that the pupil should learn his mother tongue first or learn his lessons in his native tongue. Some scholars refute this. The argument made is, where in a country like India do we find a teacher (in every school) to impart lessons in that certain tongue, to find at least ten who want to learn in that same language as is the norm? Impractical to say the least. So how do we deal with this issue of language and learning? Of the need or the futility of learning three languages at one go? Of using language as a window to opportunity rather than a barrier? What would be the most sensible – or pragmatic – course of action? 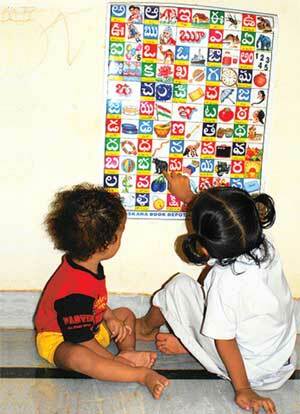 “THE three-language formula was first proposed at the Chief Ministers’ conference in 1961. In most states, only two languages are taught. It is sufficient for children to learn English and the mother tongue, or any other suitable language, especially those who live in states where the mother tongue is not available in schools. Definitely, an impracticable system should not be implemented. The learning burden on children is too great with three languages and leads to confusion in the use of languages. Two languages are the norm in many countries. So, two languages must be learnt. English and Hindi are designated as official languages in the Constitution; they are meant for specific purposes, for use in specific contexts. Progress in modern times is directly related to knowledge of English. Crucially, only English can bring the weaker sections of the country into the mainstream. Pingali Sailaja, Professor, Department of English, University of Hyderabad. “THIS is a complicated issue in schools. We are a country with many well developed regional languages. 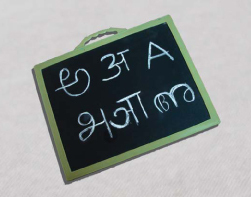 Central Educational Boards such as CBSE and CISCE have drafted this three language formula with a view to encourage mother tongue, other languages of India and a foreign language to make sure that Indians make a mark globally and to a great extent Indians have made their mark with an additional language. It is heartening to note that World Curriculum Boards, such as IBO, insist that the schools makes their plan to encourage the mother tongue of the students. In middle schools 3 to 4 years of an extra language (to a large extent functional) will greatly help the students appreciate languages and also help them to learn a new language when required, without any inhibition. At our school in addition to English, Hindi and Telugu, we have other languages too namely Sanskrit, French and German. Therefore children are exposed to a Third language for a period of 4 years (Grade 5 to Grade 8). NRI students coming back to India get a chance to learn an extra language at this level. Eg. A student coming from USA, without studying any Indian Language, at this level (Grades 5-8), is required to study an Indian language (Hindi, Telugu…..) apart from their other two languages say, English, French or Spanish. This is working fairly well here, but we do have concerns in motivating the students to learn an extra language. This is a challenge, which we have accepted and are working continuously on. V Srinivasan, Principal, Sreenidhi International School, Hyderabad. Dr Ahilya Mishra, Author and Administrator, Mahila Navjeevan Mandal, Education Group of Institutions, Hyderabad. The debate on which language and when goes on, guided often not by the interests of the child and the wisdom gained through research on cognition and development, but by politics and expediency. While both teachers and school administrators struggle with practical constraints like time tables and teaching materials, not to mention teaching capacity, the child continues to muddle along, his or her education impeded by a poor facility with language. George Rancourt, CEO, Global TCA (Training Consulting Associates) and Formerly, Director of Training for Asia Pacific at Monster.Com. The author is a freelance writer based in Hyderabad. He can be reached at Mathieu_antoine1@hotmail.com.